Our new full colour earthenware photo mugs can be with printed with anything from your company logo to your favourite photograph. You can have from just one mug to hundreds. 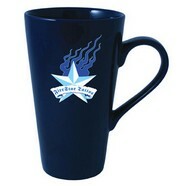 What better way to remind your customers of your services everyday, whenever they are having a drink in the office. These dishwasher safe mugs can be printed in small numbers and even personalised with names, allowing you to target your message to individuals. Does you give your customers gifts? .....you'd be a mug not to. 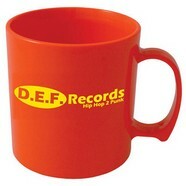 For orders of 72+ mugs in less colours we can provide screenprinted mugs at reduced costs...see below. We offer a wide range of mugs, giving you a great choice, whether you run a playschool or are fundraising for your church or school. 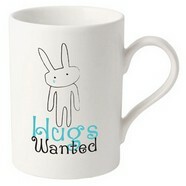 Bone china, Earthenware and Plastic mugs ensure that you will have something suitable for young and old. 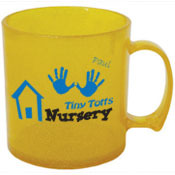 Our standard plastic mugs are ideal for young children, they are more likely to bounce than break if little fingers loose their grip. The mugs are also great for outside use...even for older hands and at only £2.75 each+vat for 72 mugs printed in 1 colour, they offer outstanding value. 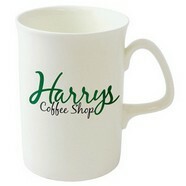 Earthenware mugs offer good hardwearing characteristics with good value for money prices. 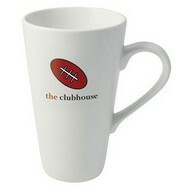 These mugs are available in a wide choice of shapes, sizes and colours. For the full range please click here. Bone China mugs are ideal if you need that extra bit of class. Lighter than earthenware, bone china has a classic appeal that will impress anyone in receipt of a Hand Print bone china mug.